Blogtown: The Venice Art Crawl Turns 7! 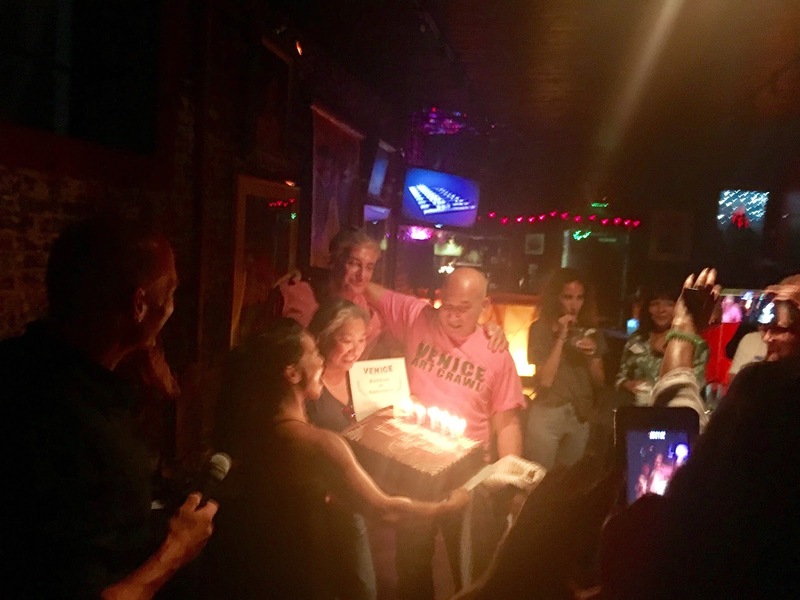 The Venice Art Crawl turned 7 years old last night with a party at Canal Club to celebrate! The back room was jam packed with artists and the people who love them and their work. The entire mission of the VAC is to keep ART alive in Venice, and these are the folks that are making sure of that. The VAC was the vision of Danny Samakow, Edizen Stowell, and Mike Newhouse, who came together to ensure that Venice as an art destination would remain so. They, along with tireless board member, Sunny Bak, were honored last night with a well-deserved certificate from the Venice Chamber of Commerce, and a big old 7th birthday chocolate cake. A raffle was held all night, with winners claiming art by local artists, among other great loot prizes. Danny Samakow was sporting the bright pink VAC shirt from when the event was a monthly deal, and shared with me how happy he was to see how far it's all come. Fun and familiar faces of Venice enjoyed themselves all night (and do be sure to check out the watermelon margarita across the street at James Beach while it's in season - delish! ), and all looked forward to the next installment of the VAC in September for the Venice Afterburn - always a highlight of the year! 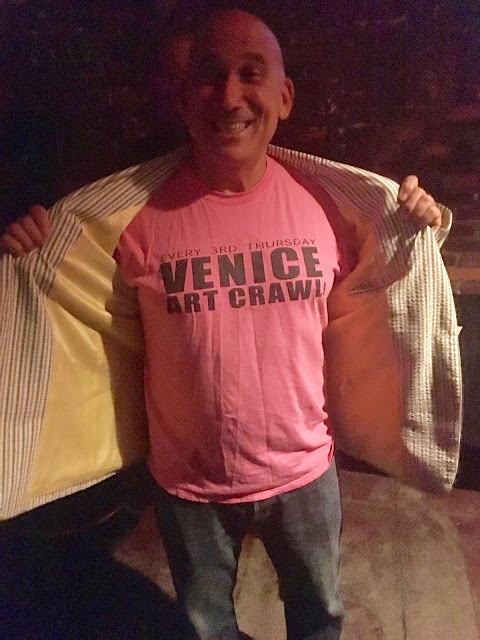 Happiest Birthday to the Venice Art Crawl, and endless thanks for all of your hard work to keep the art world in Venice not just alive, but thriving! Much, much love! 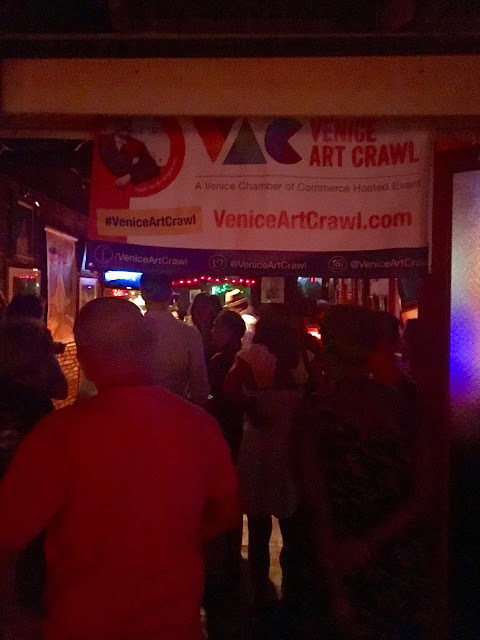 Next Venice Art Crawl - September 21st!